1 000km2 region in northwestern Greece near the Albanian border, far off the tourist path and majestic in its isolation. 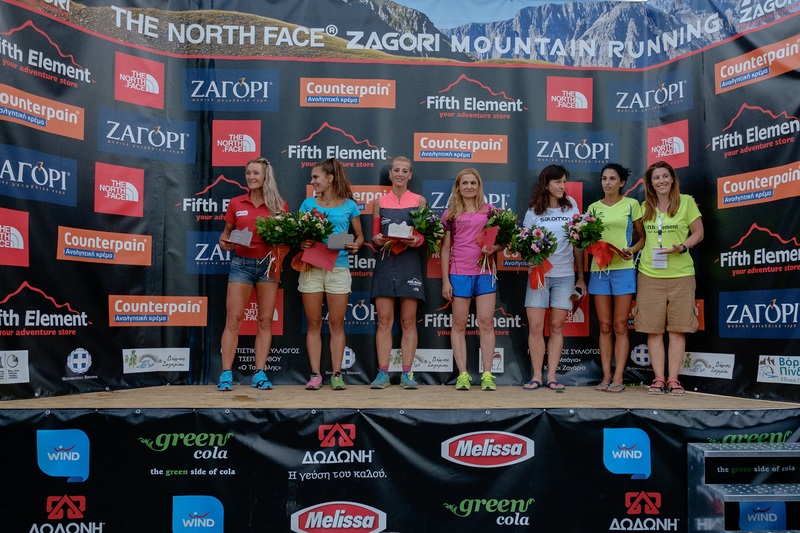 Slavic for “beyond the mountain”, Zagori is Greece’s best kept tourism secret, a land of natural beauty quite beyond expectation, and home to what has become the country’s most popular trail running ultra, The North Face Zagori TeRA (Tymfi Endurance Race) 80km. The brainchild of race organisers Mara and Vasilis Kalogirou of the Fifth Element running store in the Epirus region’s largest town Ioannina, the race is now in its sixth year, and I can say first hand that it quite easily matches, and in many ways improves upon, the best of European ultras. And for those trailers who love an adventurous running experience in an exquisite part of the world, this one’s for you. 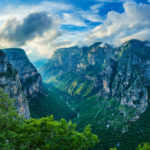 Modelled on the concept of incorporating sights and villages of an area into a route, the Zagori mountain run is circular, starting and finishing in historic Tsepelovo, the largest of Zagori’s 46 mountain-clinging villages. I knew to expect great scenery, but I really hadn’t visualised the dramatic, jagged beauty I saw. 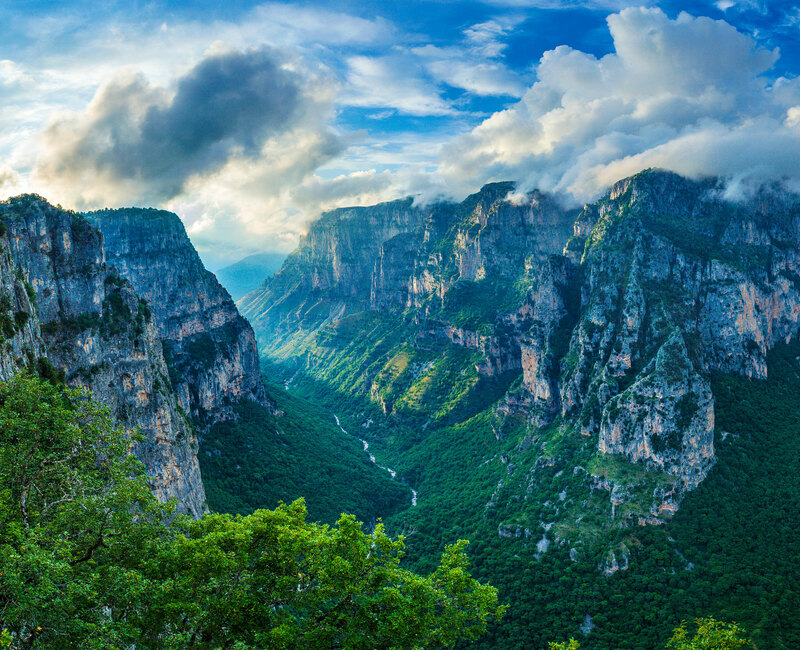 Much like the Alps, the Vikos-Aoös National Park is a grizzly maze of towering dolomite and limestone peaks with steep shale fringes and forested valleys. It’s a UNESCO Geopark, recognised for its geological heritage, and exploring it is a privilege experienced by fewer than 80 000 tourists annually. That’s not many, considering South Africa’s Table Mountain scores well over 10 times that number. This place is special, and as far as tourism goes, relatively undiscovered. That, of course, makes it a fantastic trail running playground! As much as 80% of the first 40km of the route are run on single track that was specially cut (read hacked, not mown) for the race. Until 10 years ago the area was used only by hunters, and paths through the thick vegetation were scarce. 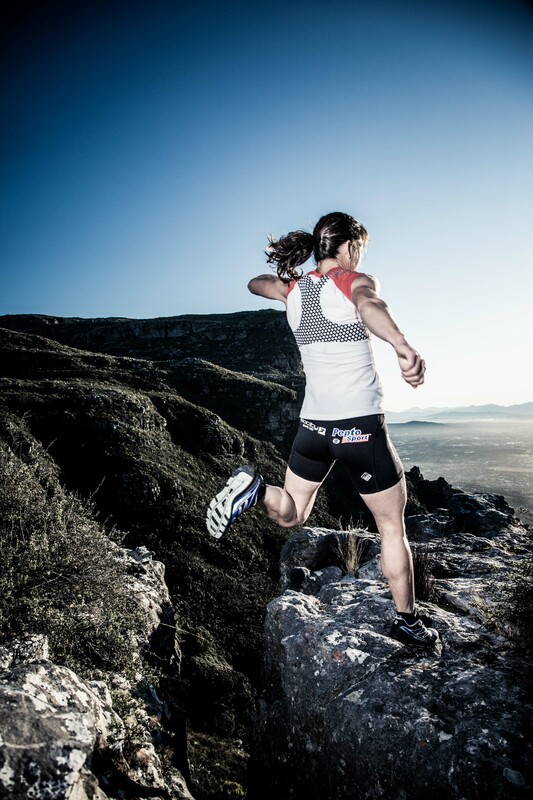 I ran beneath towering cliffs and along the edge of precipitous drop-offs. I wound my way 12km along the gnarly meandering forest path of the Vikos Gorge, a 38km long canyon that, with its depth of 1 300m, makes it the deepest gorge, in proportion to its width, in the world. I drank from the Spring of Voidomatis, source of the river renowned as the cleanest natural water in Europe. I circumnavigated the alpine lake Drakolimni or “Dragon Lake” of Tymfi at 2 050m where, according to local folklore, the lake was inhabited by dragons who fought each other using rocks and pine cones as weapons, resulting in the peculiar, bleak landscape around the 5m deep crystal clear lake. I passed over cobbled stone bridges built in 1400. 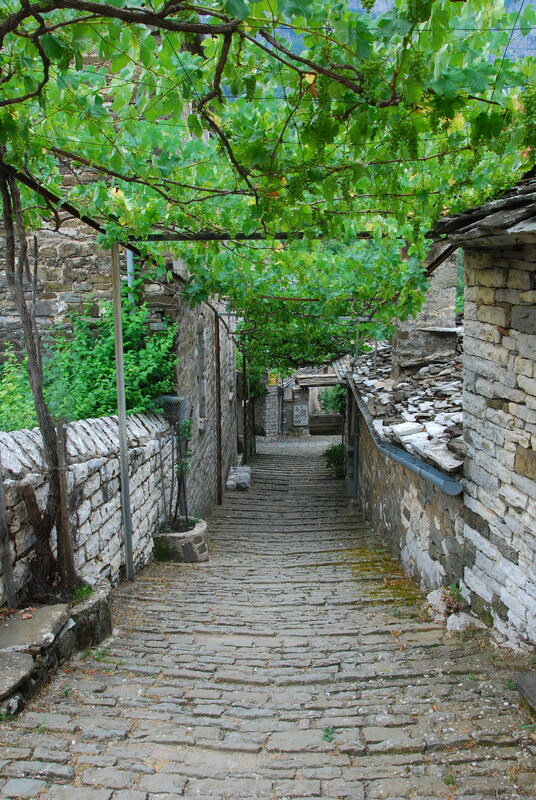 I ran through the village squares of seven of Zagori’s most picturesque stone villages, most of which are more than 500 years older than me, oozing with history, and all with populations of about 30 people. 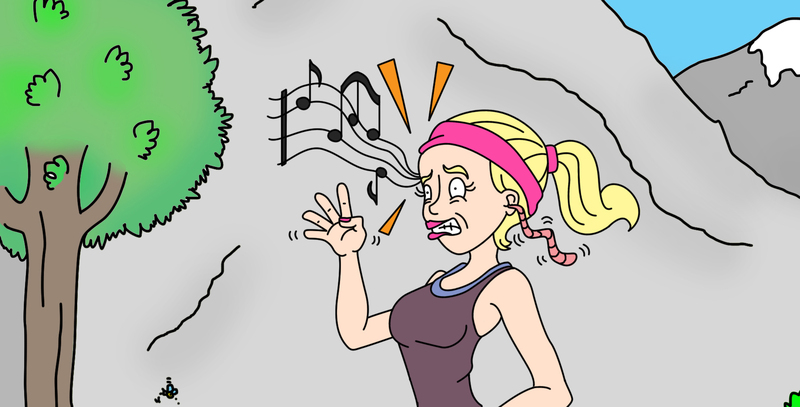 With 219 other runners, I slogged up – and down – 5 100m of ascent and descent. Those 80km hurt, my legs whinged, my lungs burned. That’s what running ultras are about. And it was worth every single bead of sweat, every smidgeon of exhausted pain. This was the best of pure mountain running, and the exhilaration of the experience felt higher than the peaks that watched us from above. The race was won by Greece’s ultra-distance champion Dimitris Theodorakakos (Salomon athlete and Greek navy seal) in 9:24:22. First woman home was Katarzina Cekoska in 11:49:06. Both smashed the respective men’s and women’s records by 10 minutes.